Style juggernaut Halcyon House will have you taking more photos of the hotel than yourselves. When it comes to accommodation, we like a seaside cottage or a cute cabin in the bush as much as the next traveller. But sometimes the occasion calls for something a little more luxe. Whether a romantic break, a complete retreat, or a holiday for the whole family, here’s how to do it in superlative style. 1. It’s bang on trend: “‘Transformational travel’ is one of the ‘it’ luxury travel trends in 2017,” says Tracy Atherton, Jackalope’s general manager. 2. Location: Over 50 cellar doors and restaurants dot the rolling hills around Jackalope’s own vineyard. Add dramatic surf and sheltered bay beaches, natural hot springs, golf courses and national parks for “the perfect mix of coastal and country reverie,” says Tracy. 3. Bells and whistles: “We have a package where you nominate your favourite drink and we’ll not only have it waiting for you on arrival, but serve it on the house all stay,” says Tracy. She suggests combining this with the signature 85-square-metre suite boasting an expansive terrace overlooking the vines, indoor/outdoor fireplace, cocktail bar, personal wine cellar and a deep-soak, stone Japanese tub for an unforgettable experience. This adults-only, luxe hideaway comprises 10 rooms and suites nestled in the surrounding jarrah and karri forests, yet within easy distance of Margaret River’s riches. The Empire’s high return rate may also have something to do with its spa that boasts stone baths, a steam room and rainforest shower suites. The vibe is chic nature retreat for grown-ups seeking solitude… together. 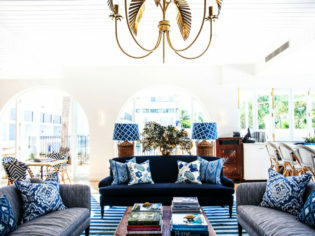 Perth is now flush with world-class hotels: besides the opulent Crown Towers Perth, there’s also COMO the Treasury, recently named the second-best hotel in the world by Condé Nast Traveler, and the boutique Alex Hotel. Add upcoming developments such as the Ritz-Carlton, DoubleTree by Hilton, and Westin Perth, and this is one boom that’s far from over. Book a night at these before they disappear! In a veritable ‘whack-the-mole’ game of pop-up glamping options, Flash Camp comes to Bluesfest Byron Bay over Easter (with further Byron pop-up dates to be confirmed). Plans are also afoot for a Kakadu pop-up (July-September), and a stint on Sydney Harbour’s Clark Island in September. Here, guests can luxuriate in tents featuring bamboo furniture and luxe toiletries, while enjoying spectacular views, and gourmet fare from Three Blue Ducks. So Instagrammable it almost hurts to put your phone down. 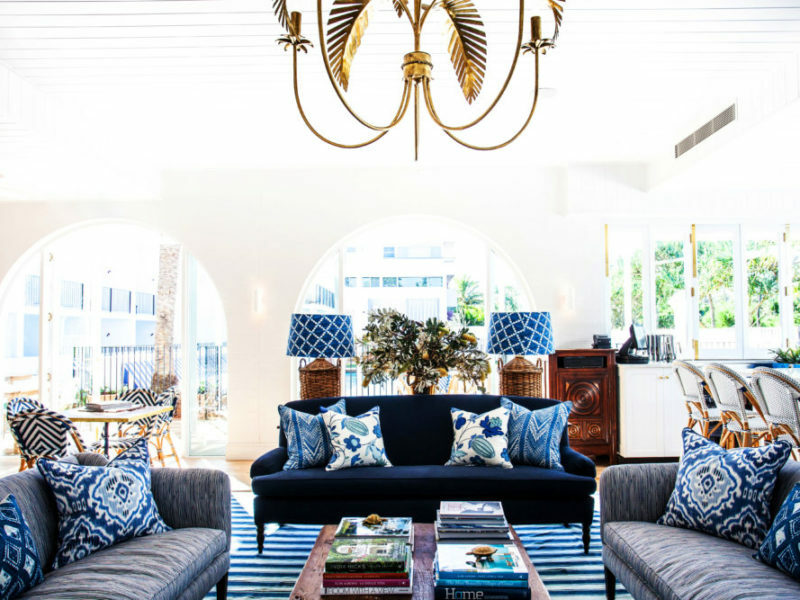 Halcyon House just keeps collecting accolades and guests thanks to its inimitable blend of eclectic coastal cool with a nod to Slim Aarons-style poolside nostalgia. Read our full review of Halcyon House (and their amazing spa). Copperstone KI is an architectural gem where much care has gone into creating a luxurious bolt-hole away from the mainland masses, set high on a hillside on over two hectares of land. Lovely touches include a hot and cold outdoor shower (who’s going to see you? ), underfloor heating and a sunken courtyard. Emu Bay beach is a seven-minute walk away, and is reliably quiet save for Christmas and early January. Private catering can also be arranged. Kids and hotel rooms rarely mix. How about this incredible Australiana-inspired Kid & Coe homestead in the Tallebudgera Valley, Queensland. Close to Gold Coast beaches and attractions, plus neighbouring golf courses, the former dairy farm has been beautifully converted into a family paradise, with friendly local wildlife and a hammock-strewn verandah. Kid & Coe also run a gorgeous Manly, NSW residence complete with handy surfboards to hang ten at the beach. In the ACT, Canberra’s East Hotel thinks outside the box with bespoke Kids Studios, kitted out with enough child-sized bells and whistles to keep everyone happy. Set to open within the next year, Mount Mulligan Station will be one hot launch: think luxury outback oasis on a 28,000-hectare property, 170 kilometres west of Cairns; set in the shadow of a dramatic 18-kilometre sandstone ridge under an endless sky. Twelve rooms, suites and villas will house a maximum of 24 guests, ensuring true escapism. Those arriving by helicopter will enjoy magnificent views of reef, rainforest and outback before immersing themselves in the local history (tours of the old mining town, cattle station and homestead; guided bushwalks) and environment (swimming and fishing in the reservoir, exploring in 6WD Land Rovers). Cap it all off with a spot of stargazing and some fine wines by the fire pit. Hobart’s MACq01; a ‘storytelling hotel’ that promises to immerse guests in the history and characters of Tasmania. The romantic refuge features stunning alpine views, washed linens, Aesop amenities, leather lounge chairs, Maison Balzac candles and Italian glassware – a nod to Easton’s wedding in a village near Tuscany, as is the bottle of Chianti left for guests. In Daylesford, Harts Lane Haus is a labour of love for interior designer-owners, Simon Carver and Stuart McKenzie. Boasting a two-person spa bath, wood-burning fireplace, reading nook, local produce hamper on arrival, gorgeous views all round and, says Stuart, an “excellent record collection”, it sounds perfectly romantic to us. 715 square metres of unbridled luxury. Four bedrooms. One baby grand. 24-hour butler service. 2.5-tonne chandelier. The numbers add up: to $25,000, in fact – the starting price per night at Crown Towers, Australia’s most expensive suite. Do you want to know the 100 best ways to see Australia? See April/May issue of Australian Traveller .